CUSTOMERS AFFECTED BY the tracker mortgage scandal have said they are still being left in the dark by their banks about how much money they are owed and when they will get it back. 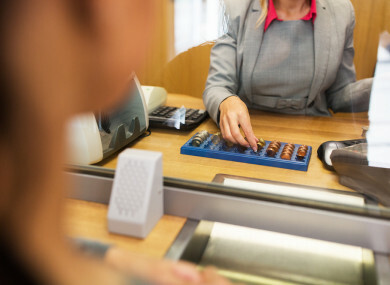 It emerged last year that financial institutions in Ireland denied thousands of customers tracker rates and charged higher interest rates than stipulated in their agreements. Some customers were overcharged hundreds of euro per month by their bank for a number of years. The Central Bank estimates as many as 15,000 accounts have been impacted. In June, TheJournal.ie highlighted the frustrations of one Bank of Ireland customer, who said, despite being told in December last year that she was an impacted customer, she still did not know how much she was overcharged or when she would be repaid. Another two months on and people impacted by this scandal have said they are still none-the-wiser. One Ulster Bank customer, a 54-year-old mother-of-two who did not want to be named, said she and her husband noticed their mortgage payment value had dropped suddenly in January this year. When they asked why, the couple were told they had been put back on a tracker rate. They were also told by the bank that it had sent them two letters about their being impacted by the overcharging scandal, which they said they had not received. The bank sent them out again, and one, seen by TheJournal.ie, had the wrong name on it. “I realised that when the fixed term was up in 2006 and we got a letter of offer for new rates, the tracker was never included on that. So I sat there and did the sums and worked out that the variable was cheaper than the fixed – but that was based on the information they had given us,” she said. The letters from the bank, one dated January and the other March, both outlined that a review was taking place and that the bank would be back in touch with an offer of compensation. “When I contacted them, they said they can’t pin it down, they have a lot of cases. Had the tables been turned and we owed them money, I don’t know if we’d have the keys to our house now. We can’t get them to give us a timeframe. What was a couple of hundred euro to them at a big institution was massive for us at the time. That €300 a month would have been the groceries. And we did borrow at one point from family – and paid it back – but we probably could have gotten by with that €300 a month. Niamh Byrne (38), another Ulster Bank customer, took out her mortgage in 2006, set at a fixed rate of interest for two years. In July 2008, the bank refused to give her a tracker rate and instead switched her to a variable rate. Byrne is a teacher and because of the moratorium on recruitment at the time, she could not get a permanent position and was sometimes working just six hours a week. She decided to try to ease her financial burden by switching to AIB, which was then offering a lower variable rate. “The bank forced me to move because they refused to give me the tracker – that really left me with no choice,” she told TheJournal.ie. “In 2012, there was suddenly a lot of publicity about people having lost their trackers and I went back to them about it. I made a complaint to the Financial Services Ombudsman (FSO) and a case that should have gone on five months went from September 2012 to December 2014.” The FSO ruled in her favour and the bank was ordered to pay her compensation of €25,000. At the time I first made the complaint, I was looking to move house, but I thought I better stay put until the FSO decision was made. By the time that was done, house prices had risen hugely. In January this year, she received a letter from Ulster Bank informing her that she was one of the customers impacted by the tracker mortgage scandal. The bank said it would be in touch in due course and for the last eight weeks she has been writing every week to Ulster Bank for an update, but receiving none other than that the review is complex and ongoing. “If you’re one of those customers, the bank is in arrears to you. If this was the other way round, it would be a whole different ball game. It’s a huge mess. For the whole of my 30s this has been going on. It’s horrendously stressful and there is no end in sight. It really has a huge effect, you’re living in financial limbo. Sinn Féin TD Pearse Doherty recently criticised Ulster Bank, commenting that “frustration is building as customers trying to find out when they will receive their redress or simply hear from the bank are being fobbed off with pro-forma replies”. “In some cases the families are in mortgage arrears and seeking some relief from the same bank which is dragging its feet on restoring their rights. That is an intolerable situation. “It is now seven months since the Ulster Bank CEO told me in December that the customers would be dealt with before Christmas. It is now the height of summer and no resolution is in prospect for most. Ulster Bank pulled out of a meeting with the Finance Committee last month that could have teased out some of these issues. TheJournal.ie asked a number of banks for updates on their tracker mortgage reviews. Ulster Bank said it has identified 3,500 customers as impacted and has restored existing customers to their tracker rates. The bank has not yet begun to pay redress and compensation, but it is due to write to customers to begin this process in the coming weeks. Bank of Ireland referred us back to a statement it released in December last year, which stated it had identified 602 accounts where a right or option of a tracker rate was not provided. “We are focused now on making things right for any impacted customer.This is a regulatory process and we are engaging closely with the Regulator on all matters associated with this examination – and as this is a regulatory process it would not be appropriate for us to comment further,” it said. Danske Bank said its review was “ongoing and has yet to be completed”. Similarly KBC said the examination is “ongoing” and that it “continues to engage” with the Central Bank as part of the review process. AIB told TheJournal.ie that, as of the end of the first half of this year, it has written to, apologised to and redressed 2,900 customer accounts. “We are in the process of addressing a further 400 impacted customer accounts, and this is progressing. The review is ongoing. To date €133 million of the €190 million provision has been utilised covering both redress and related costs, leaving a residual provision of €57 million at 30 June 2017,” the bank said, adding that it expects the review to be largely completed by the end of the year. Permanent TSB did not respond. Email “'Living in financial limbo': Victims of tracker mortgage scandal still waiting for answers from banks”. Feedback on “'Living in financial limbo': Victims of tracker mortgage scandal still waiting for answers from banks”.